Looking to get a better interest rate on a home mortgage, a car loan or you credit card? Homeport could help you. Beginning in March, Homeport will intensify its efforts to educate individuals on how to improve their credit scores. “The credit counseling blitz begins on March 2 and will continue every Wednesday after for at least three months,” said Netta Whitman, Homeport’s Assistant Director of Learning & Engagement. “Where we normally offer four, one-hour opportunities once a week, we are now offering 24 opportunities, on a single day, Wednesdays,” Whitman said. The counseling opportunities would begin at 9 a.m. and continue through most of the day. Up to four Homeport counselors could provide credit-counseling services simultaneously. “We will review the credit counseling blitz in three months to see how it is working,” Whitman said. “What we do know is that the information provided to clients can be valuable. 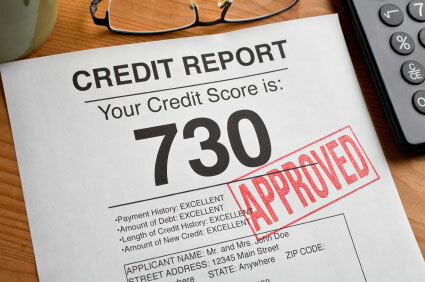 Good credit scores affect the terms of a home loan, the interest rate on a credit card or car loan. Credit scores affect everything. It is an indicator of risk,” Whitman said. Close to 500 area residents received credit counseling from Homeport in 2015, said Laverne Price, Senior Director of Learning & Engagment. The organization is methodical in how it evaluates each client’s situation. “We review their budget to see what they have available to address credit concerns,” Whitman said. “We pull a report on them from two credit bureaus. We review any negative information that may appear, and we help create a plan to address the negative information. There is no charge for the counseling sessions, a bonus given the potential impact. The difference between a mediocre and good credit report could make a difference of several hundred dollars in a monthly mortgage. “A score of 640 is considered OK, whereas 660 or higher is good. You can get a mortgage with 640 but you would get the best interest rate at 660 or higher,” Whitman said. Individuals who went through foreclosure during the height of the Great Recession may be ready to position themselves again for home ownership should they act on information provided to them in a counseling session.